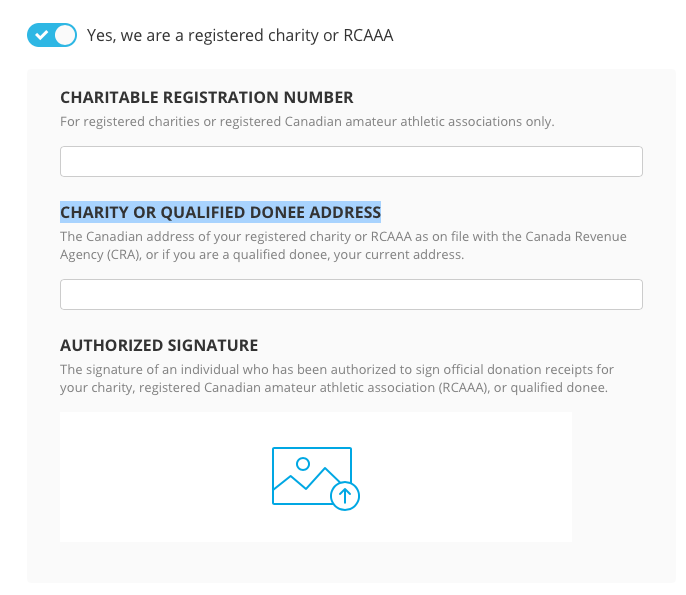 If you are raising funds for a registered charity or registered Canadian amateur athletic association (RCAAA) that is eligible in Canada to issue tax deductible receipts, Chuffed.org can issue tax deductible receipts on your behalf for your donors. For other organisation types, we do issue receipts to all donors, but these won't be eligible for tax deduction. 3. In the Setup section, click on "1. Basics"
4. 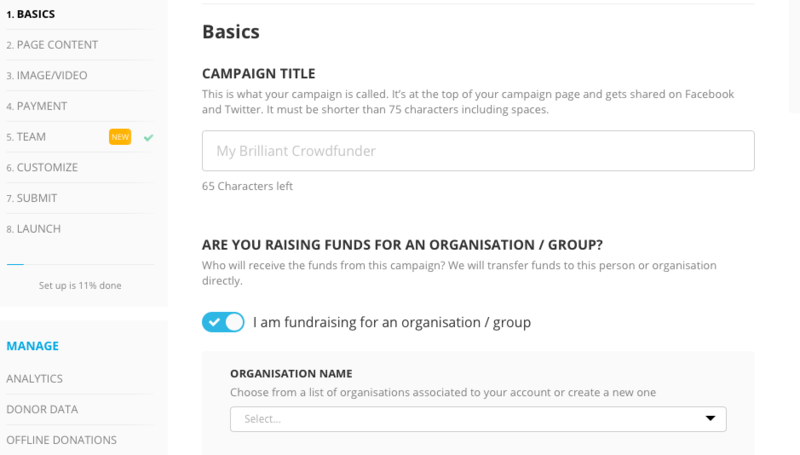 In the Basics section, click that you are "Raising Funds For An Organisation / Group" and type in the name of the organisation that you're raising money for. You may see a drop down to create a new organisation with that name - click on this drop down. 5. Next, in the Setup menu, click on "6. Customize"
6. Scroll to the "Are you a Registered Charity and want us to issue Tax Deductible Receipts on your behalf?". Tick the tick box and enter your Charitable Registration Number, your Charity or Qualified Donee Address, and Authorized Signature.